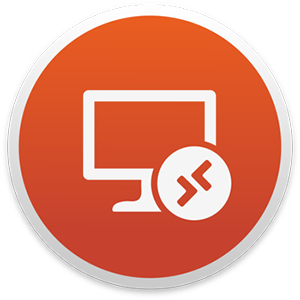 In late 2017 Microsoft quietly released Remote Desktop 10 in the Mac App Store as a separate listing from Remote Desktop 8 which also remained available for installation. It wasn’t immediately clear why they were listed separately instead of 10 simply replacing 8 however. If nothing else this was a clear signal that MacAdmins, many of whom were just now becoming aware that version 10 existed, needed to start testing it right away. True to Belanger’s word, only a single update has been released since that time, 8.0.43 to 8.0.44, which added messaging about version 8’s impending demise. Starting with version 10.1.6 in March, to the delight of many MacAdmins, Microsoft made Remote Desktop available as a package for standalone installation not dependent on the MAS. It was added to the MacAdmins.software website and support was added for keeping it up-to-date with Microsoft AutoUpdate. I wasn’t able to immediately update our computers here because of a couple bugs I ran into on the two primary third-party services we use MRD with. Microsoft’s Elton Saul was great to work with in confirming these bugs and keeping me updated on the fixes which arrived in 10.2.2 that released yesterday. With those bugs fixes it is time to roll it out. I’ll only need to include this in the PkgInfo for a version or two until I’m sure everyone has made the upgrade. I’ve already been distributing version 8 through Munki so importing version 10 as just a newer version of the existing application makes this upgrade very easy. An alternative if you want to keep version 8 around for a while but install version 10 at the standard location on disk would be to rename MRD8 before installing MRD10 with a similar preinstall script. The second consideration is that there isn’t an automated way to import bookmarks from version 8 or to programmatically create new ones in version 10, but these are both options that Microsoft is working on. Thankfully version 10 will allow the manual import of version 8 bookmarks even if the old application is no longer on disk as in my example. To address this I have not marked version 10 as an Unattended Install so that users will have to manually approve the upgrade in Managed Software Center. I’ve also provided staff with some extra instruction on how to import their version 8 bookmarks when they launch version 10 for the first time. Removing version 8 first ensures that any existing Dock icons or shortcuts will launch version 10 post upgrade and hopefully the bookmark import instructions will prevent any confusion after the upgrade. I’m anticipating a smooth rollout over the next week. 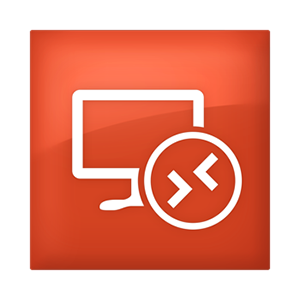 Version 10.2.4 released today includes: “An option to import from Microsoft Remote Desktop 8 now appears in the Connection Center if it is empty.” This is a welcome addition that will make this transition easier for anyone going forward. In even bigger news this release also includes unannounced scripting support for creating bookmarks programmatically! Microsoft’s Gieta Laksmana has been sharing details and examples in Slack.